So many church arguments aren’t about the meat. They’re about the seasoning we add to it. When someone says a restaurant serves the best chicken in town, it’s never about the chicken. Every properly-cooked chicken tastes the same. What’s different is the flavoring. It’s the same with churches. So many of the arguments we have about the right way to do church aren’t about the church at all. They’re about the seasoning we add to it. One prefers the smokiness of high liturgy candles, another wants a southern gospel twang, while someone else prefers a Pentecostal flavor on their tongue. Some add a kick of salsa, a touch of soul, or they experiment with fresh, new ingredients. So often, when we think we’re taking a stand for the meat of the matter, we’re doing little more than squabbling over the seasoning. Sure, there are some who try to pass off gristle or tofu as real meat, but those churches are dying off as quickly as people can leave them. The church of Jesus has many flavors and each one brings something wonderful to the table. 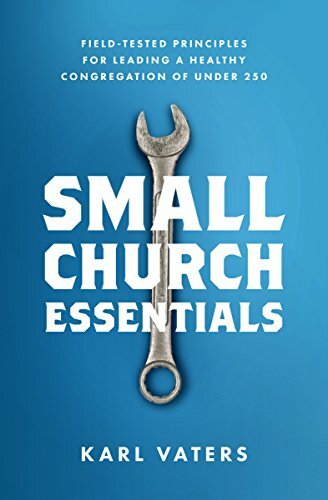 If I’ve learned anything in spending time with pastors from almost every denomination over the last few years it’s this – the church of Jesus has many flavors and each one brings something wonderful to the table. Your preferred seasoning might be different than someone else’s, but as long as you’re honoring the Bible, worshiping Jesus, loving others and otherwise following the Great Commandment and Great Commission, you’re cooking the chicken right. It’s okay to stick with the seasoning you prefer. As long as we let others do the same without criticizing what is usually nothing more than a flavor preference. And maybe, just maybe, we can learn something new about the infinite variety within the church if we’ll broaden our palettes and try a new flavor from time-to-time. And don’t forget to keep inviting hungry people to your table.